Orange mold is a form of slide mold that is mostly found in a garden that uses much as a way of maintaining the moisture necessary for plant growth. 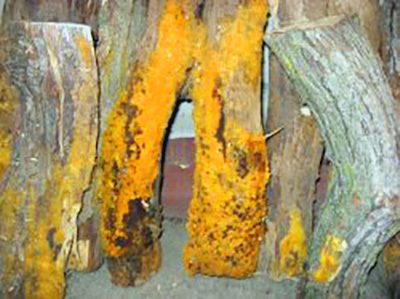 The mold is orange in color hence the name. However, it may also have a reddish or pinkish color. At the initial stages of development, this mold appears fluffy and moist but adopts a crusty appearance as it gets to maturity. There is a wide variety of molds, all taking different colors, shapes, and sizes. 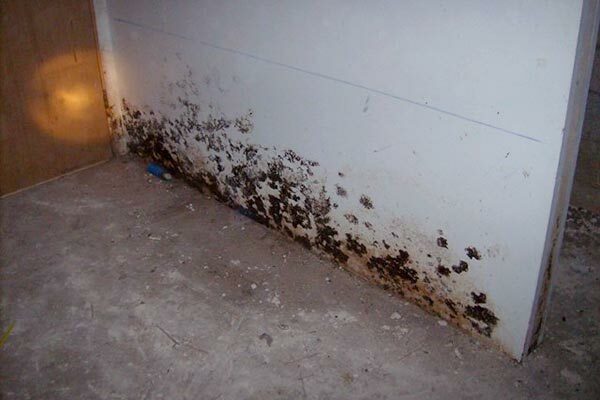 However, the most common types of mold include the Aspergillus and Cladosporium as well as Stachybotrys atra (black mold). Cladosporium – You are most likely going to find this type of mold on painted surfaces, fiber ducts and at the back of toilets. It is green or black in color and possesses no health hazards. However, when handled incorrectly, it can cause watery eyes, rashes, and sore throat. Aspergillus – This is the type of mold that is mostly found on food or home air conditioning equipment. Stachybotrys atra – Green in color, you are Stachybotrys thrives on surfaces with high content of cellulose such as wood or moist ceiling tiles. It may be tricky to single out orange mold, particularly in colorful flower beds. 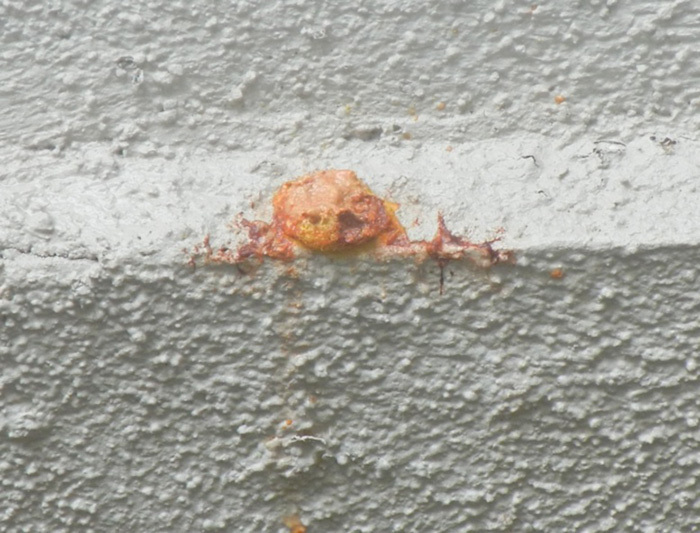 In a bid to make the mold identification process easier, here is an all inclusive procedure to help you distinguish between the orange slime mold and orange peel fungus. Step 1 – Observe the mold’s color. There are specific types of slime mold that have a bright orange color, although the color may chance to pink or red as time goes by. Poke the mold using a stick to assess the consistency. Orange slime mold that mostly thrives on decay wood materials is moist but later dries into a hard crust that is hard to poke through. Step 2 – Observe the mold’s inside. Cut the mold using a trowel or sharp object. 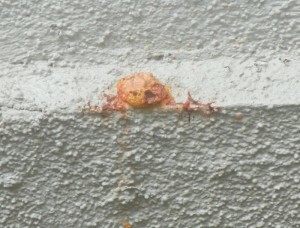 The inside part of the orange slime mold is usually black. Be sure to test the texture which should be lumpy, almost comparable to vomit. Step 3 – Give the mold time to harden and dry before removing it from the garden. Orange slime mold may be harmless but no so pleasing to the eye so you need to put o protective gloves when discarding it. Step 1 – Check out the shape of the fungus. Orange peel fungus mimics the shape of a bowl. Identify the color markings on the fungus that are pale or deeply colored. At times, the markings have a reddish tint mixed with orange. Step 2 – Examine the edges of the fungus. Orange peel fungus splits easily thus hardly symmetrical. Make a comparison between the inside and outside of the fungus. The inside should be somehow lustrous while the outside appears darker. Step 3 – Remove the fungus by using your hands from the garden. This type of fungus is edible but not so nutritious so you may discard it altogether. There are a lot of stories about orange mold, some true and others not so true, thus the importance to separate the facts from the myths. Here are some important mold facts that will come in handy. The air you breathe is made of small particles of mold. Molds can thrive on plants, float off the air, and grow in the soil or float on your windows or doors. In fact, you have been in constant contact with mold your entire life. In other words, there is no space that does harbor mold, no matter where you go. 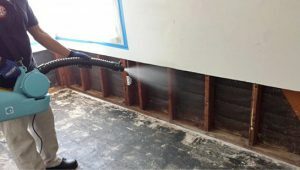 When mold covers an area that is more than 10 square feet, or when you can estimate the extent of growth, it is advisable that you hire a professional with the required expertise to handle the removal. This is because extra caution is needed when removing mold particularly when dealing with vast areas. Even the most common mold type that is deemed harmless can cause serious health complications when in large amounts. It’s not all the time that the black, grey or white spots are mold. Take efflorescence for instance. This whitish substance mostly found on concrete is formed when water permeates through the material and leaves behind deposits of salt. However, the sheer fact, that there is water involved, could mean that there is mold that is not visible to the naked eye. Some spots can be caused by substances such as soot or soil deposits. 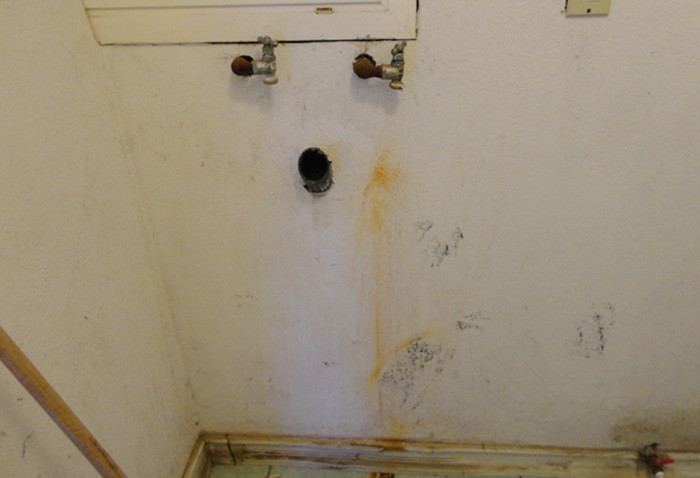 The best way to establish if a spot is mold or not is to conduct a laboratory test on the samples. You should not have any problems getting rid of mold unless it occupies a vast area. 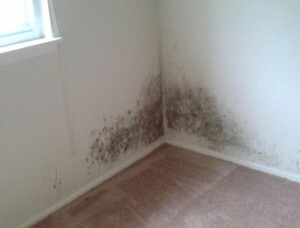 When mold is widespread the best way to handle its removal is by seeking the services of professionals. Below is a step by step guide on how to remove mold. Step 1 – Establish the area covered by the mold. The quest to get rid of mold starts here. Before you even begin removing the mold you must know the area where it is present. This will help you determine the removal method to use. However, there are places where you will almost certainly find mold such as wet basements, behind wallpapers and in an open field covered with mulch. Step 2 – Seal off the area covered by the mold. Once you have established the affected areas, it is paramount that you stop further spread of the mold. By now you know that mold thrives in a moist environment so the most immediate measure to take is stopping the supply of moisture. Be sure to fix all the leaky pipes and taps so that no water seeps behind your walls into the field. Step 3 – Kill and Get Rid of the Mold. 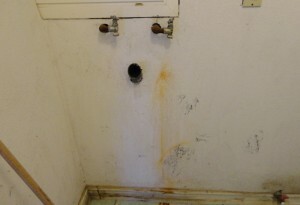 Mold is typically a living organism, thus there is need to kill and destroy it. This is done by spraying and fogging. 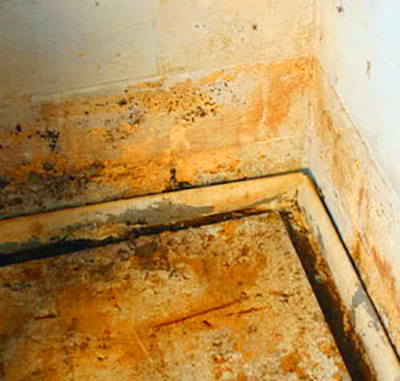 Once you have destroyed the mold, make sure you dispose it to avoid health problems. The area previously occupied by the mold should be dried thoroughly and all the cleaning materials discarded. Orange mold is rampant and cannot be wished away (see : Mold on apple). However, you can stop its growth and subsequent spread by using the appropriate elimination method. Depending on the area covered by the mold, always consider hiring professionals for a comprehensive removal.